Lending Loop has launched its Online Marketplace across the country to provide Canadians a better way to borrow and a smarter way to lend. Middle class Canadians can grow their personal wealth by lending to the small businesses at the heart of their community and across Canada. Traditionally, Canadians have had little choice when it comes to investing their money. Purchasing stocks requires substantial capital, time and knowledge. Mutual funds make hard earned money less accessible. Bonds pay little in the way of interest and bank savings accounts yield even less. "Today is a brand new day for Canadians and small businesses across the country," explains Lending Loop CEO, Cato Pastoll. "With as little as $50, Canadians can lend their money to the thriving local coffee shop that needs new equipment to grow or the farm around the corner requiring staff to develop a farm-to-home produce delivery program." 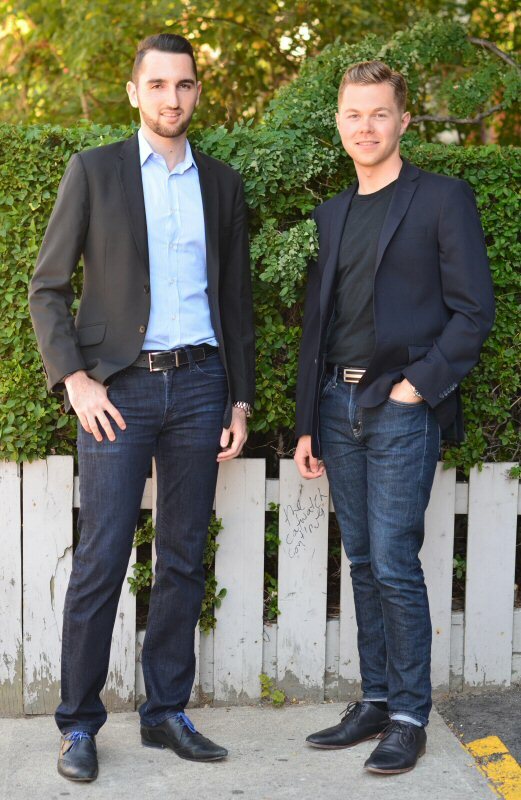 Lending Loop was founded by entrepreneurs Cato Pastoll and Brandon Vlaar who, after witnessing firsthand the difficulties their friends and loved ones experienced as small business owners dealing with big banks, realized the need for a new financial model for small business to have fast and easy access to the capital needed to grow in a global economy. Although small businesses are unquestionably the backbone of the Canadian economy, the traditional lending model offered up by big banks often makes it difficult to access the capital they need to compete against global conglomerates and big-box stores. Small and medium sized businesses employ nearly 90 per cent of Canadians working in the private sector and produce 40 per cent of the country's GDP. Yet many are rejected by traditional financial institutions when seeking financing because they don't fit the rigid lending requirements of big banks. Too often, this means their only recourse is to source alternative or private lenders who charge rates well in excess of 20 per cent. Canadian-owned and developed Lending Loop is leveraging technology to make the financial sector work more effectively for all Canadians, and small businesses in particular. It is the first peer-to-peer lending platform in Canada, and offers small businesses a better way to borrow, with a quick and easy application, flexible repayment options and considerably lower interest rates than alternative lenders. By using Lending Loop to access the capital they need to grow their business and expand their market, small business will be able to compete and win. Lending Loop's borrowers also have built-in advocates for their business - the lenders who want to see the company succeed because it helps their community and investment grow. If you're a Canadian small business, join Lending Loop today for a better way to borrow. Apply here to get started today. Lending Loop makes investing far more accessible to every Canadian by providing access to a new type of asset class: growing small businesses. Exposure to a brand new asset class allows Canadians to diversify beyond real estate and traditional public market investments. Lending Loop makes it possible for Canadians to support the local businesses they love and support instead of putting their money into faceless corporations. Lending Loop makes lending more accessible and affordable for Canadians than ever before by allowing them to lend as little as $50 to a business. Lending Loop also makes it incredibly easy for any investor to build a healthy, diverse portfolio across a number of small businesses and industries. To protect the hard earned money of lenders, Lending Loop uses an all or nothing funding model, where loans only come into effect if the borrower receives the full amount of their loan request in total pledges. Ensuring a project or business is fully funded maximizes the likelihood for the borrower to be in a positive position to repay lenders. Lending Loop offers all Canadians a smarter way to lend. Sign up here to start lending in just a few easy steps. For more information or to arrange an interview with a Lending Loop representative, please contact Ciara Dalziel.